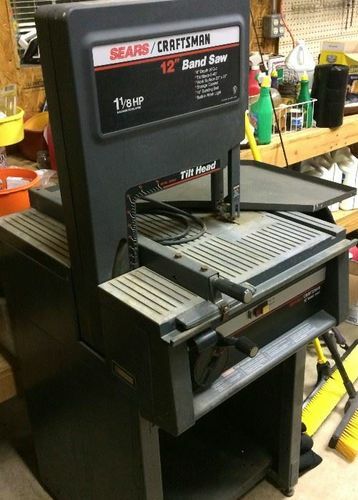 I have a Craftsman 12” band saw, model #113.248320. Can anyone tell me where I can get an original rip fence and miter gauge for it? I have looked and looked on the net for one. I know they exist because, at an estate sale, I saw a saw with them. The estate would not sell them separate from the saw. All I can say is Vintage Machinery classified ads, ebay or fab something up. When you find one that’s when two or three more fall into your lap. how are your woodworking skills ? 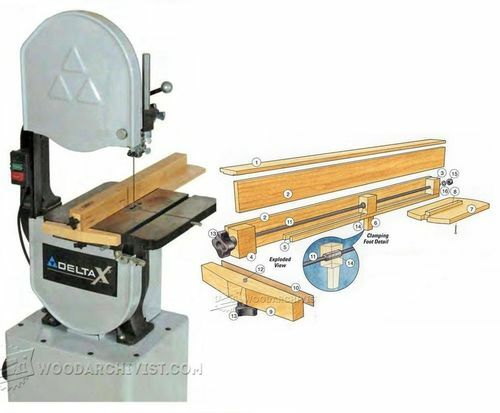 I made something similar for my Craftsman bandsaw 30 years ago. just not as extravagant. search Pinterest for many simple fences and miter gauges you can D.I.Y. BUT IT – then part it out on craigslist. If I had the opportunity to buy just the saw today, I would. I doubt there is any place selling OEM replacements but you might find some used. 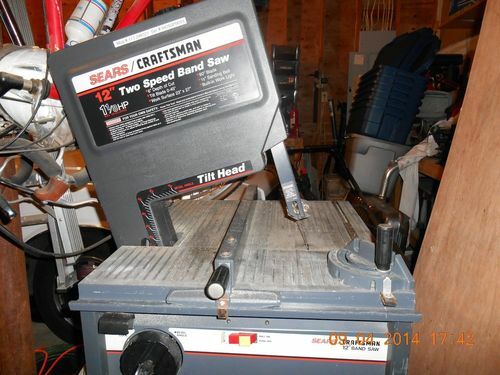 Although I agree with Brad, they are one of the worst bandsaws ever sold. I looked at a few and they shake and shimmy like Elvis in his prime. I can build them out of wood or metal. It just seemed simpler to buy them used. I can’t afford to buy a complete saw. I have never had any success at buying what I want and then get my money back by selling what I already have. I bought the one I have new from Sears in 1992. I was not aware of a fence or miter gauge being available. Besides I wanted it to be able to cut a curve on rare occasions. I could afford it back then. BTW… When I buy something it is very rare and expensive. When I sell it, it is a dime a dozen and available on every street corner. BTW… When I buy something it is very rare and expensive. When I sell it, it is a dime a dozen and available on every street corner. hahahahaha that is sooooo funny right there. I don’t care where you’re from !!! 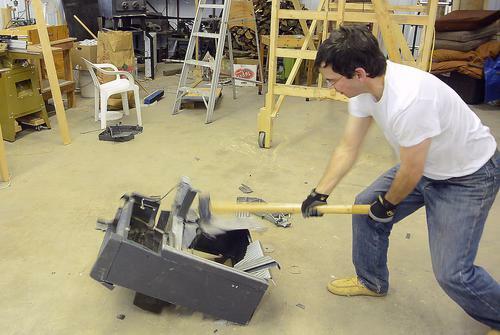 What about the Kreg bandsaw fences? And any miter gauge that fits your slot will work. I hope this picture shows up. Mine has a slot built into the table like this one. The one in the picture is the one I should of bought at the estate sale, but did not have enough money. That fence look quit similar to the one Craftsman used on table saws. It locks in place at t handle end. 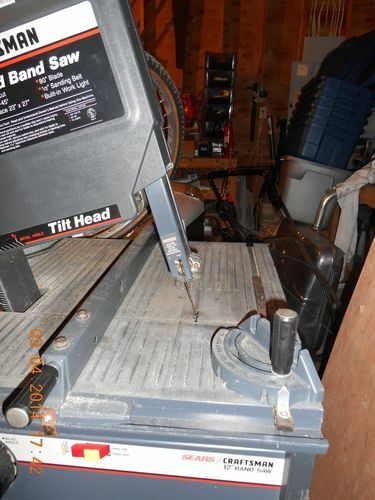 So you can probably find one of those a lot easier and modify in to fit the band saw. The same for the mitre gauge. 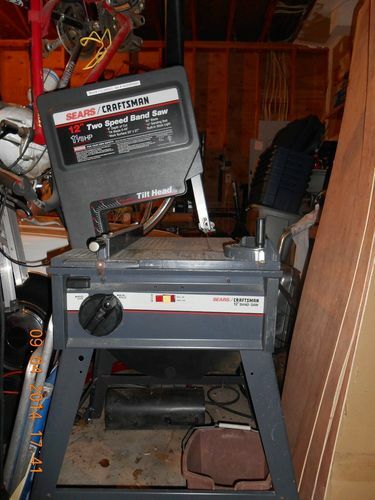 My table saw is a 10” craftsman. The miter gauge will work. The fence looks right but will not work. Both ends are not correct.